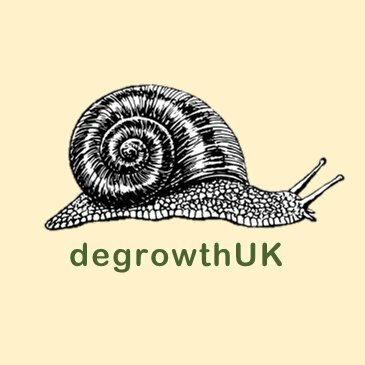 “Whether you’re new to the idea of degrowth, or have been following degrowth debates for a while, we hope that you’ll enjoy some tasty picnic foods, delve into interesting topics and leave with a better understanding of degrowth, and maybe some thoughts about building the degrowth movement in Edinburgh”. Meet outside the General Library of the University of Edinburgh, in George Square, at 3pm. Email ​e.j.hurst@stir.ac.uk​ with any questions. It’s a time of turmoil and change. The probable departure from the EU and it’s aftermath continues to dominate the headlines. Combined with the threat of imminent climate change and ongoing environmental degradation, growing inequality and deepening divides, this is an increasingly uncertain time. A better future already exists. Individuals, organisations and networks across the UK are already creating a future that’s more inclusive, collaborative, and aims to benefit everyone. We share many core values but what we lack is voice and coordination. We are too often fragmented within our own silos. Shaping our future together. We are an ecosystem of many parts working to reform the system and build practical alternatives. Our aim is to shift political, economic and cultural power away from the status quo. Our purpose is for UK communities to be able to create our futures together. We seek to catalyse a network of change-making organisations, networks and independent practitioners, creating a movement for positive social, economic and environmental change. The programme is part co-working and networking and part workshop-based. The process will be participatory and emergent. Theme: the architecture of Degrowth. Open call: http://oslotriennale.no/en/news/oat-2019-open-call-for-projects for contributors to an architecture library of the near-future which you or people you know may be interested in submitting projects for. Please do circulate this! Thank you! We are also looking for researchers conversant in Degrowth matters to collaborate with architects, artists and designers to create objects and experiences for this architecture library. Speakers: Prof Molly Scott-Cato MEP (UK Green Party), Prof Giorgos Kallis (Barcelona), Prof Kevin Anderson (Manchester) and Prof Robert Pollin (Massachusetts). The event will be chaired by Maeve Cohen (Rethinking Economics). organised by University of Manchester, Political Economy Research Centre. What does the ecological crisis mean for capitalism? And what does capitalism mean for the ecological crisis? What kind of economic transformation is required to get us back within safe ecological and planetary boundaries? Does that imply economic growth, green growth or degrowth? What should we be pushing our political representatives and leaders to do? The University of Manchester hosts a debate on these questions and the political viability of a ‘post-growth’ economy. University Place, Lecture Theatre B. Oxford Rd. See more Manchester-based events here, via Steady State Manchester calendar. Malmö International Degrowth conference. September, 2018.
the conference was a warm and vibrant space for those working in many ways on alternative economic and social approaches to come together and share ideas, practices and experiences. Far more than an academic conference, this was both a cultural event, taking place in Sweden’s oldest public park, the Folkets (or People’s) Park, and an intervention. The immediate context was Sweden’s general election, and the week of events ended with a march and public debate with Swedish politicians: some of whom from the Left and Green parties also joined local activists to participate in discussions at the conference itself. All the conference contributions HERE with abstracts and, for some contributions, slides / text or supporting papers. Papers from Steady State Manchester are linked HERE. Papers from CUSP are linked HERE.